Leonard P. Liggio was the Executive Vice President of Academics at Atlas Network, and was “the great builder” of classical liberalism’s revival in the second half of the 20th century. 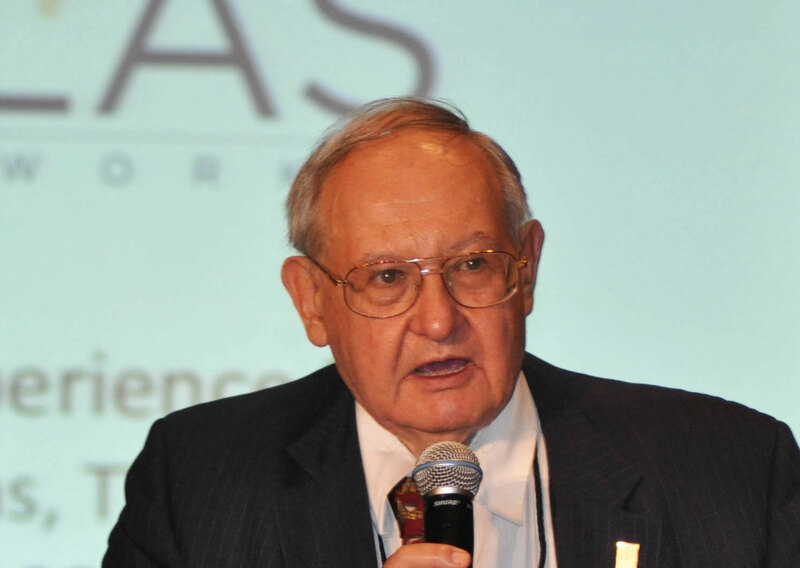 Here is a tribute from the Atlas Network team, published upon his passing on October 14, 2014. In 2013, Atlas Network joined with Liberty Fund and the Earhart Foundation to celebrate the work of Leonard P. Liggio along with his 80th birthday. As a scholar, as a gentlemen, and – perhaps most of all – as a behind-the-scenes builder of the freedom movement, Leonard set an inspiring example for us to emulate. To ensure that the new freedom champions of today (and tomorrow) appreciate Leonard’s many contributions, Atlas Network established the Liggio Lecture Series as a central part of its annual Atlas Network’s Liberty Forum & Freedom Dinner, one of the freedom movement’s must-attend international events. The Inaugural Liggio Lecture was given by Professor James Otteson of Wake Forest University during the Atlas Network Liberty Forum in New York City on November 13-14, 2013. Click here to read the text of his speech. The 2014 Liggio Lecture will be presented by John Tomasi, Director of the Political Theory Project and Professor at Brown University, on November 12, 2014. This website, developed by Leonard’s colleagues at Atlas Network, serves as an online portfolio of his work, and a location where well-wishers can post tributes to Leonard in the spirit of those collected 15 years ago in the collection, Born on the 5th of July (opens as a 10 MB pdf file), on the occasion of Leonard’s 65th birthday.